more proud of the work we are doing." Once when I was being considered for a job, I was told the committee was hesitating because I wore "too much black." I told them that is why I was valuable. In a community care job where most people wore pastels, there are people (maybe even the pastel wearers) who need to see someone who looks like me. I need to see someone like me. I need to see someone like you. That's how those who already feel excluded feel like they have a chance. That's how we survive. That's how we live. The transgender community continues to fall victim to suicide at an alarming rate. Studies show that 41% to 50% of transgender persons will attempt suicide. Those who leave notes cite an unlivable life in an antagonistic and oppressive world. 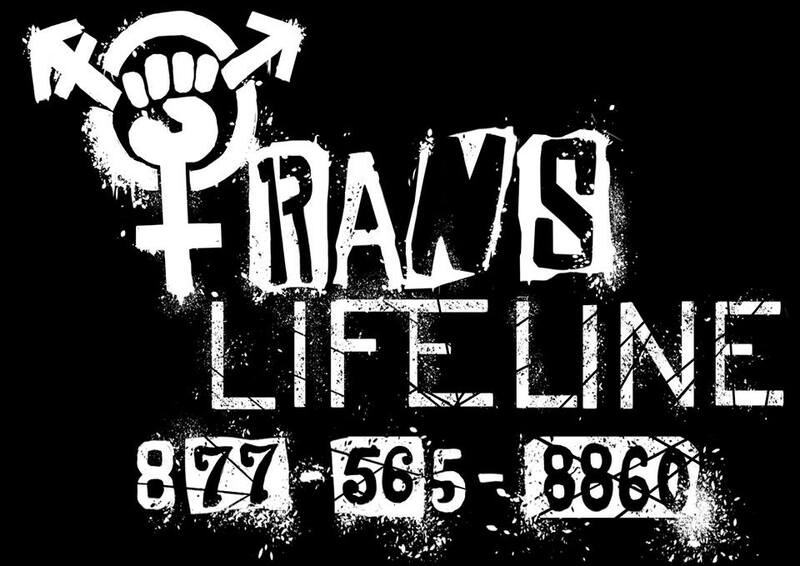 Today, after the election of Donald Trump to President of the United States, the Trans Lifelife, a support system for the suicidal trans community, reports 288 calls within the first 24 hours. Transgender issues has been a target for most of the Republican candidates and the election of the new President leaves many trans persons fearful and despairing. If the community needed a final push to confirm the collective animosity toward them, this seals it for many. Others despair because they identify or ally themselves with other communities targeted by the Trump campaign. 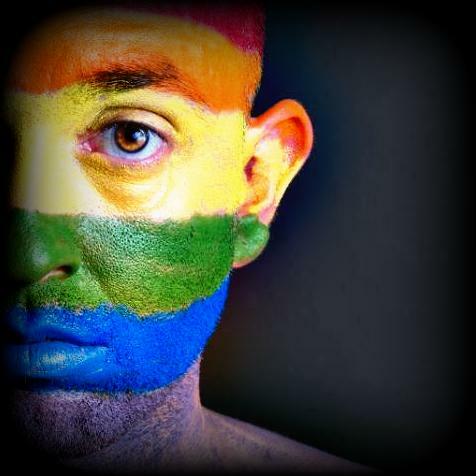 The saying "It Gets Better" aimed to support LGBTQ youth and encourage them not to take their lives seems hallow today for much of the community. It gets worse it seems. This is a hard reality that many knew all too well already. Yet here we are: queer crip trans women of color, members of the Jewish or Muslim faith, immigrants and refugees. We have lived and died before through hardships. We die and live now. I don't have convincing words for those intent in dying. Life is too big and too hard, like death is too big and too hard. I can't tell someone who feels betrayed by their job, community, or country that it gets better. I don't know what better looks like for you and I can't promise that image of the world will ever materialize. I can't argue with you but I can keep on living. You can see that. And that is a real thing. If you can keep on living, we can see it together. And that will be a real thing. When I feel so overwhelmed by the world that I am disoriented by disbelief, my partner and I play a game from the book, the Hunger Games. We take turns listing things that are real. First and foremost, you and me, us, we are alive right now. That is real. The country may vote despite us or against us. In their game, we may lose. But by living, we win at a more important game. That is real. I've seen impossible and irrational things. I've seen the bad. And that is too real. It can seem so real one does not need to talk about or believe it. It can feel more big and more real than us. But in the face of that certitude of badness, the impossible happens: we live. People look at us and yell things at us. People pull weapons on us, they have on me. People make it clear we are not welcome or reject us for a job; however our value and qualifications. We make them uncomfortable and they make us feel afraid, ashamed, even suicidal. The image of world we are given is one that would rather not include us. That is a real thing. We may feel we should give that image of the world a favor by removing ourselves. But that is not the only world we can see. I've seen impossible and irrational things. I've seen trans women not get the job either and have nowhere to call home. I've talked to those who have worked the streets and lived on the streets. Some people look at them with pity or condescension. But those women are living a life the world says shouldn't exist. I've read the words of trans men incarcerated in mental hospitals and forced to embody an unlivable life. They attempted suicide. They failed. And the confess they failed on purpose. Their mind, body, and heart chose death. But some impossible part of them kept them alive. Then there are those autistic, trans, queer, people of color shot down in the streets. Then there are those children who walk into oncoming traffic. Even those killed by their own hands seemed killed by the world and under the flag emblazoned with the image of their exclusion. Yet even then, they lived. That is a real thing. The story of Dylan Scholinski is real. "Suicide is a selfish act," said one of the medical staff after Dylan Scholinski's suicide attempt, "Do you know that?" (The Last Time I Wore A Dress 73). They called him selfish but it they who isolated him. Scholinski grew up in the next town over from me in the same Polish community. 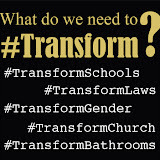 He would have attended my high school if he hadn't been committed to a mental asylum for being transgender. In his memoir, he recounts being isolated from the public and then the small community in the hospital. Alone may be a better word than selfish. In her suicide note, Leelach Alcorn also recounts being isolated before her successful attempt. “I was completely alone for 5 months,” Alcorn writes, “No friends, no support, no love.” If isolation, exclusion, and loneliness is how we die, being present and real for one another is how we live. There are no words to promise you life or a better world. That is impossible. But I can show you impossible lives and worlds that exist all around us; in our jobs, our communities, and our country. By witnessing to the impossible we can hold on to the life it materializes and envisions. We can live it, become it, and it can be real. There are those who believe that the most valuable Life and those like it have been killed in the most merciless ways, yet they become images of resurrection and hope. There are those who believe that the most valuable persons have been rejected in the most hateful way, yet they become images of consolation and recommitment. There are those whose valuable bodies and minds and spirits turn against them in the most unlivable way, yet they become images of life and reality. I do wear more colors today but I wear other things as well. I wear "I Will Go With You Buttons" to protest anti-transgender bathroom laws. I wear a tank top that reads, "This is What A Feminist Medievalist Looks Like." I wear black because too many, friends and family I know and you know, then too many we don't know, feel isolated, angry, and suicidal. We need to be able to mourn the lives that were and will not be. Others need to see that. We need to see that. Because that is real. But beyond the fabric thin messages, who I march and stand beside is what makes me visible in certain ways and a witness others. There are times that brings victories and there are times when it feels like it does little. Yet in these times, to live would be enough. To help one another live is more than enough - for now. In an irrationally bad world, we can irrationally live. That is how we live. That is what you see, what I see, and what those we don't believe in us see. Today I don't work for that job but I serve a wider community. I get up in the morning and I see my children to school. I get on clothes and see my partner to an appointment. I go to class and I see the next generation of minds. They see me and I see them. I write this and you see me and I see you. That is real. That is how we live.